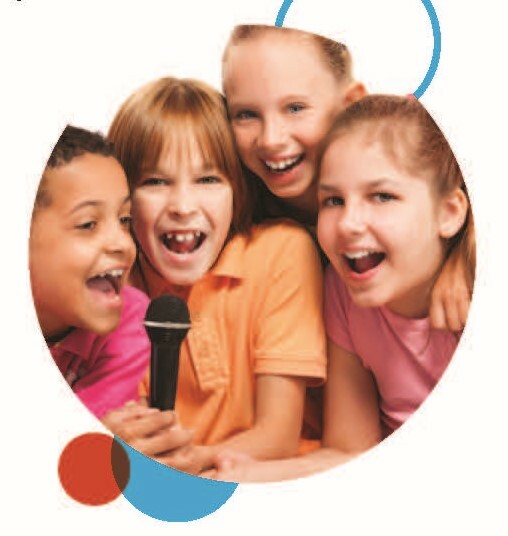 ALL KIDS need opportunities to have fun, connect with others, learn new skills, make friends, and enjoy a sense of belonging… That’s what Kids Like Me is all about! The Help Group Kids Like Me programs are created especially for children and adolescents with AUTISM SPECTRUM DISORDER and OTHER SOCIAL/LEARNING CHALLENGES. All programs are designed and overseen by highly trained professionals. All new after school extended care program offered daily from 3:15pm to 6:00pm, Monday through Friday at a cost of $35 per day of the week per term (8 weeks). The after care option until 6:00pm will also be offered following enrichment classes. (See classes for added fees). Pre-registration with prepayment is required for all classes as well as extended care options (See below for fees). Please contact Nicole Webb for further information nwebb@thehelpgroup.org or 818.778.7136. Kids Like Me and Special Spirit Inc. provide a special opportunity! Students are transported to Moonshadow Ranch in Shadow Hills where they learn about horses, safe handling techniques, grooming, care and feeding, bathe, and more. Basic Riding skills in walk and trot are taught, with an emphasis on controlling a horse in a safe and trusting manner. Benefits of therapeutic riding include boosting focus, balance, independence, communication, and social skills. Learn and develop skills such as proper throwing, hitting, catching, modified game play, & fielding and base running technique. An exciting class at We Rock the Spectrum gym in Glendale will give our kids the chance to strengthen core muscles while building confidence, gross motor and athletic skills. Through small group coaching, kids will experience and enjoy a full-size trampoline, zip line and adult-size swings to fill sensory needs as well as treadmill, stationary bike, rowing machine and more! Tech gaming combined with traditional board and mental challenge games providing a perfect balance working with X-box, switch, Pokemon Go, and many more… it’s all about changing it up, making it fun, developing negotiating, compromising and team skills. A fun class teaching basic skills including golf grip, swing, putting, driving, scoring and safety. A fun and important skill building class focused on healthy recipes and culinary skills. Kid chefs will learn, prepare and enjoy various recipes each week ending the session with a party and a recipe book to take home. High-energy sports class focusing on skills development, teamwork and sportsmanship. Kids learn how to create and bring their own characters to life with traditional stop motion and digital recordings methods. A very popular, fun and energetic class where kids participate in a variety of interactive physical games including dodge ball, Capture the Flag, real life Angry Birds, obstacle courses, scavenger hunts and more. This program encourages positive social interaction, team building, and gross motor skills development. Become a LEGO master! Explore architecture, technology, and engineering concepts through individual, partner and group LEGO-building activities. Ever popular and amazing, we are proud to offer this highly acclaimed, award winning creative arts program that enables children and teens with autism or other special needs to express themselves through music, dance, film, writing, and acting. Social skills and creativity soar while having fun with friends. This highly popular class includes round trip transportation, instruction, bowling shoes, game play, tournament and a whole lot of fun with peers at PINZ Bowling Alley. This special martial arts class is designed to help build focus, self-confidence, discipline, cooperation, fitness and teamwork. A blending of dance genres for fun and fitness. Staff supervision and snack are provided at no extra charge for Help Group students from 3:15-4:00pm. All classes meet for 8 weekly sessions from 4:00-5-15pm unless otherwise noted. Submit an application, available HERE. Once your application has been processed, we will contact you to set up an interview with you and your child. Already have an account? Click HERE to log in and register!